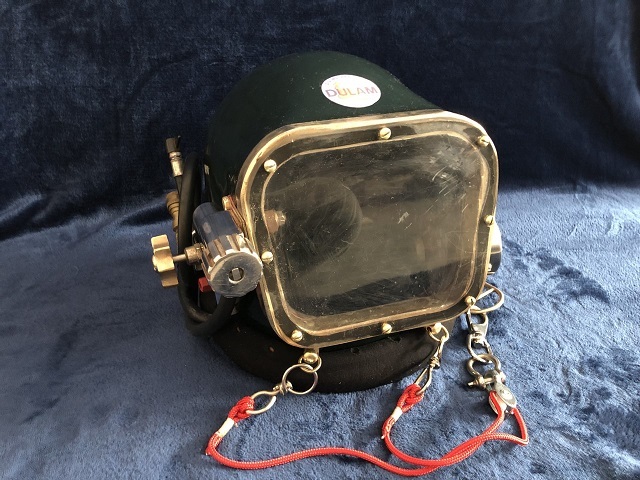 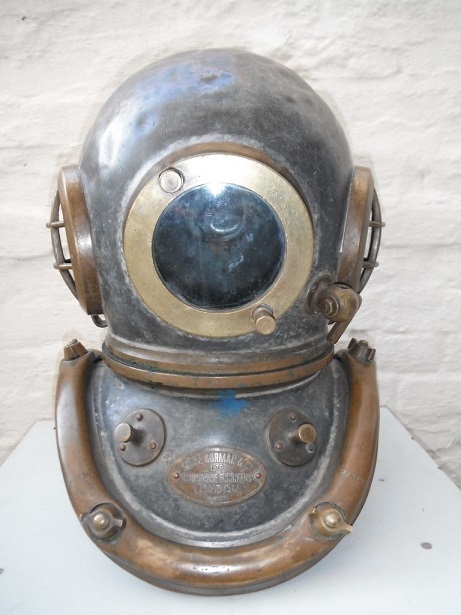 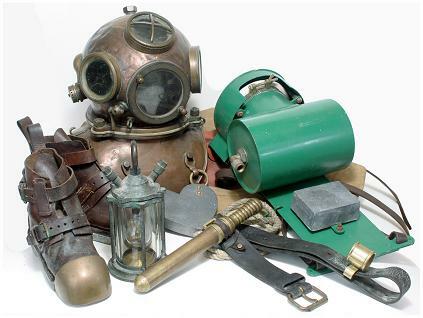 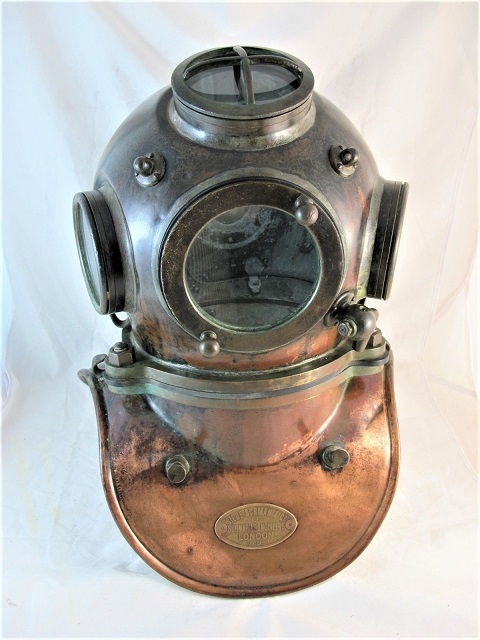 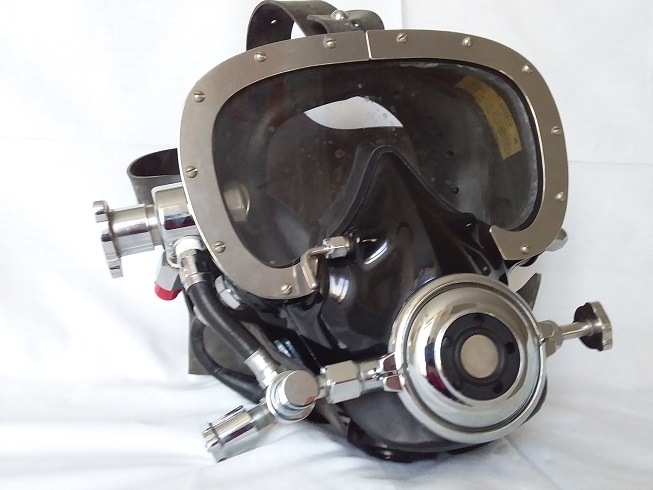 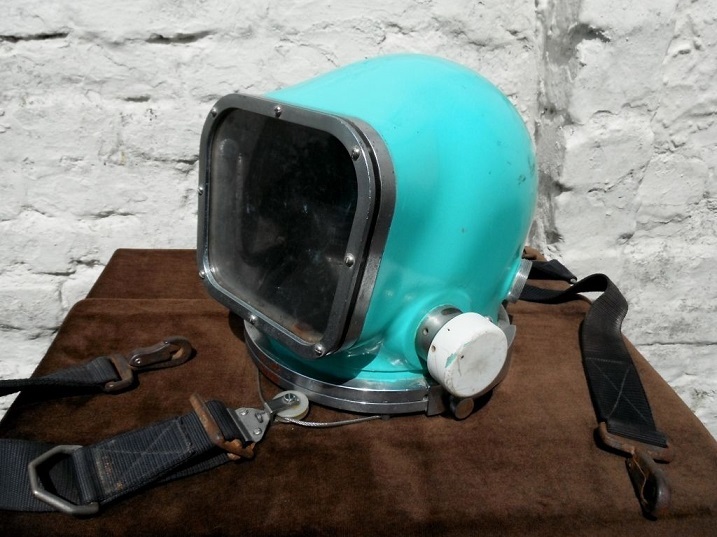 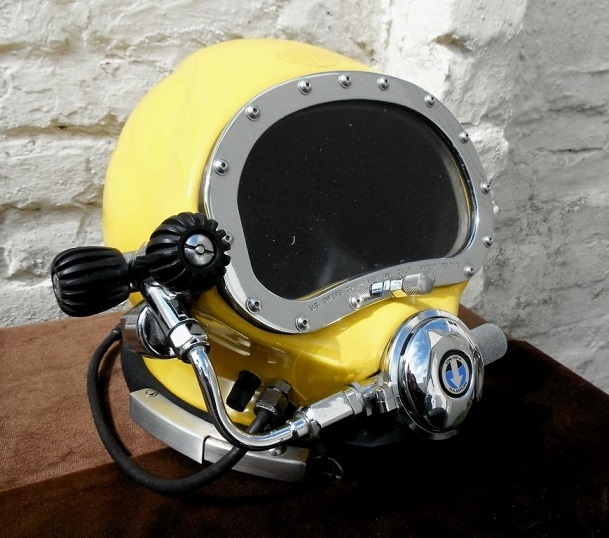 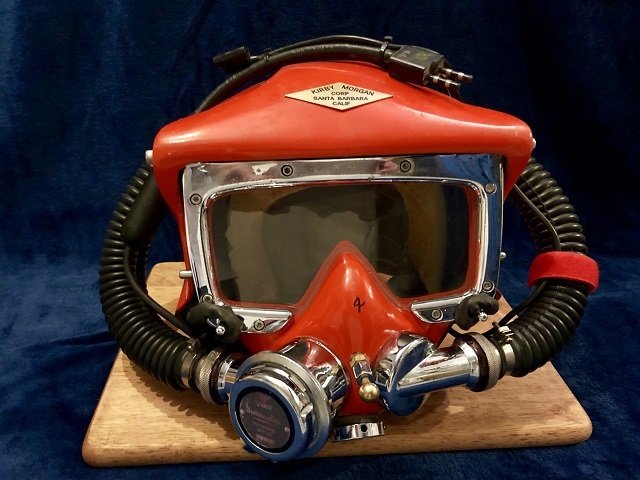 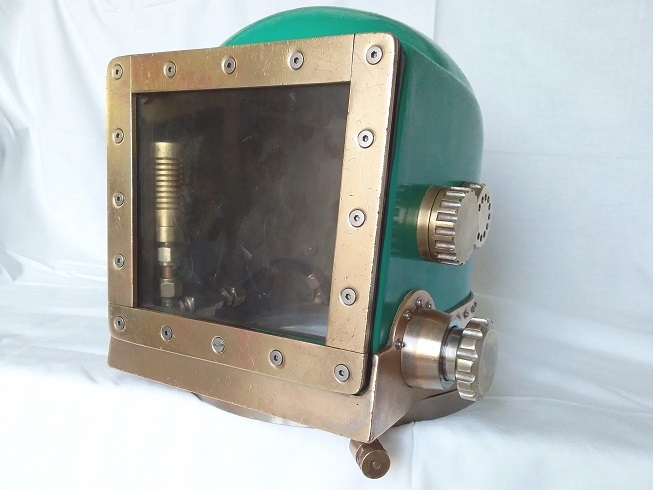 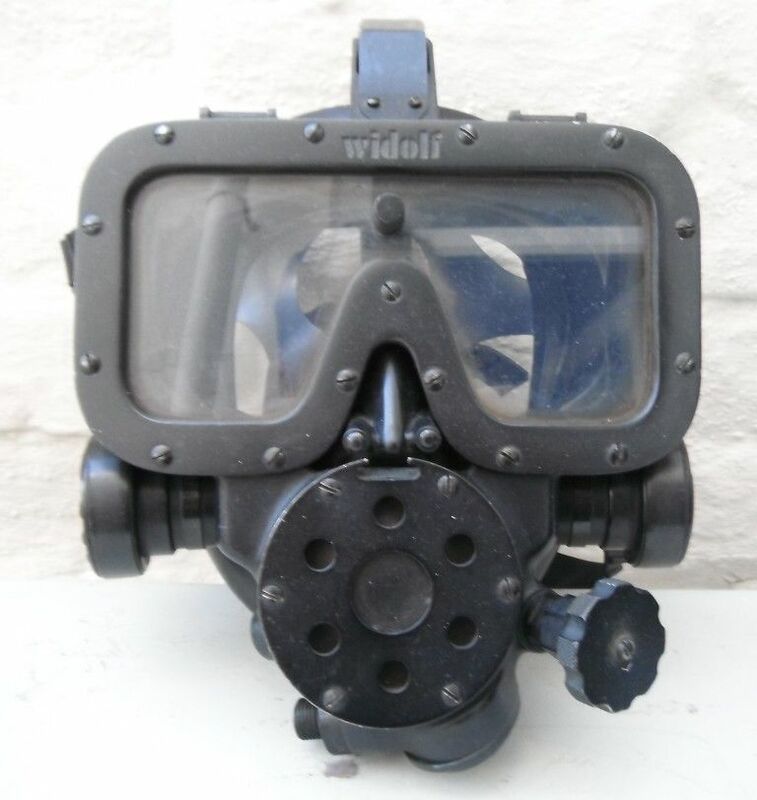 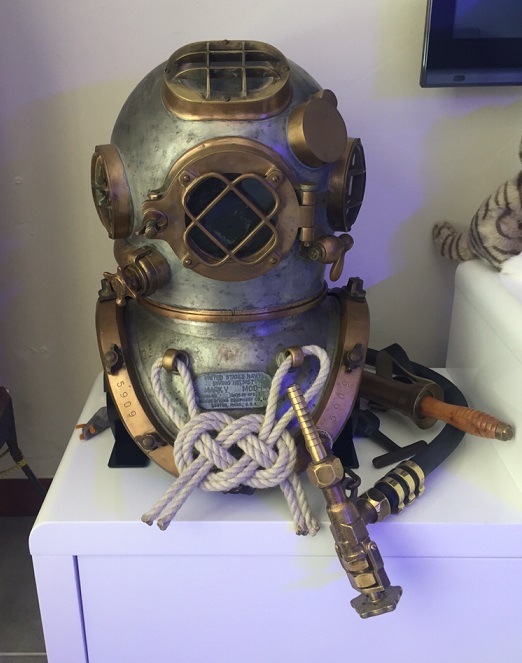 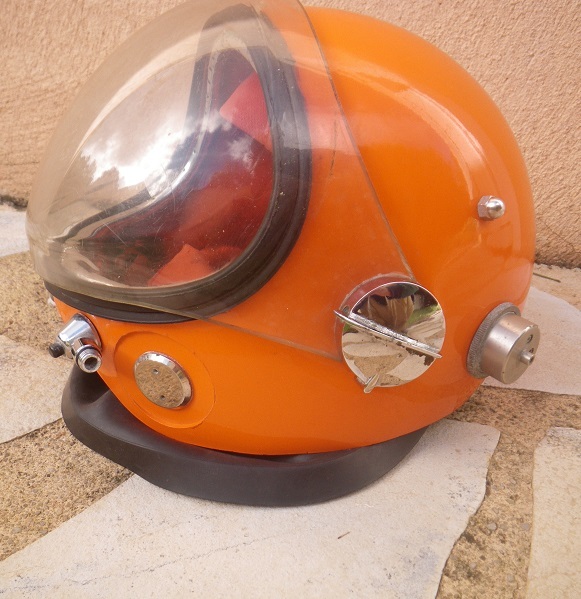 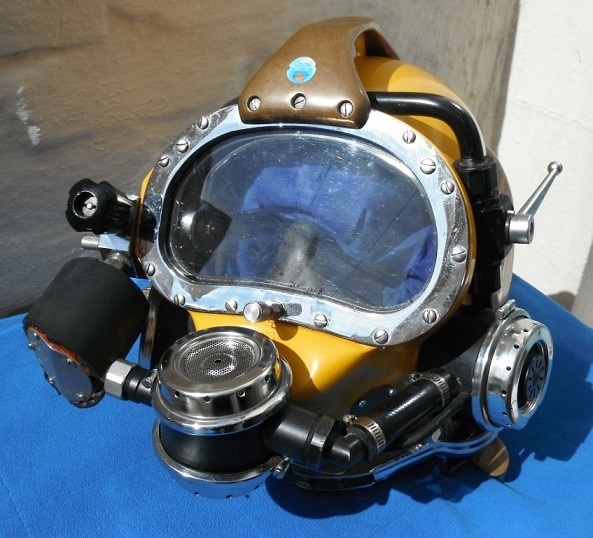 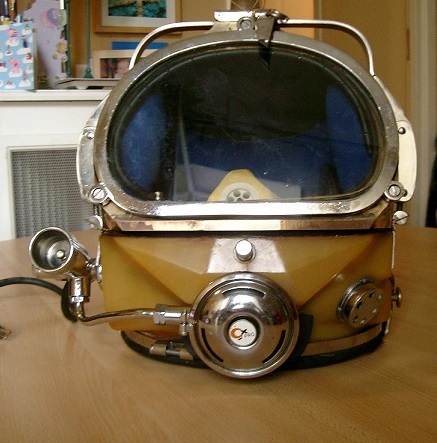 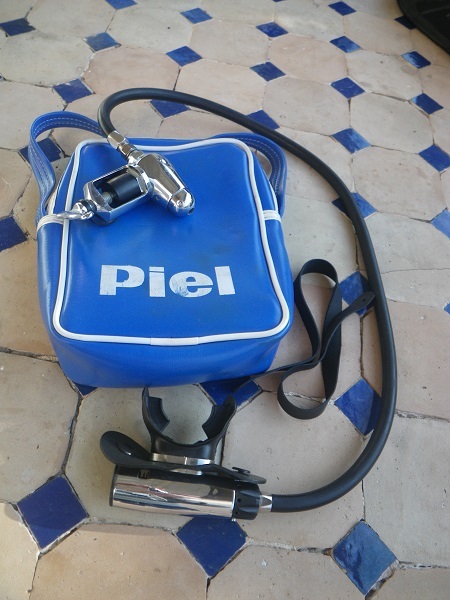 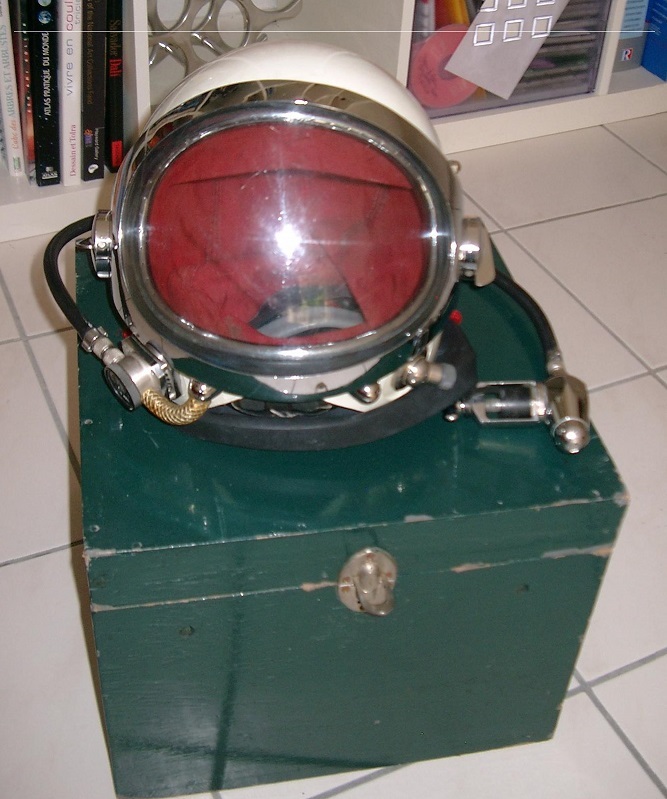 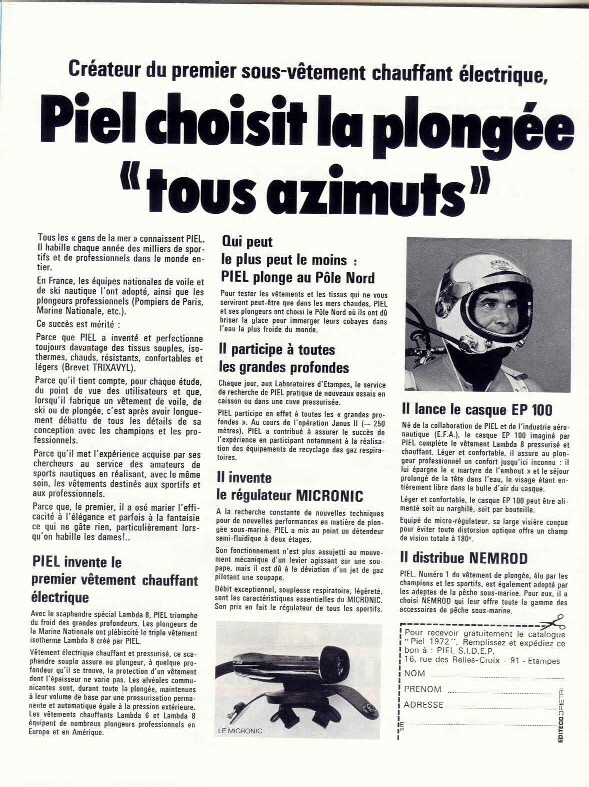 Founded in 1952, the Société Industrielle des Ets Piel ( SIDEP ) was in the 60’s and 70’s a leader in manufacturing gear for the professional divers. 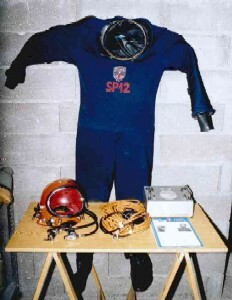 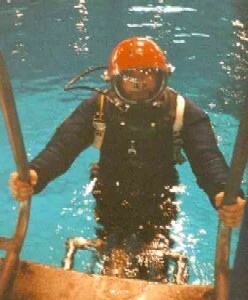 They have made electrical heated dried suits like the Lambda X, diving helmets like the EPX00, diving regulators. 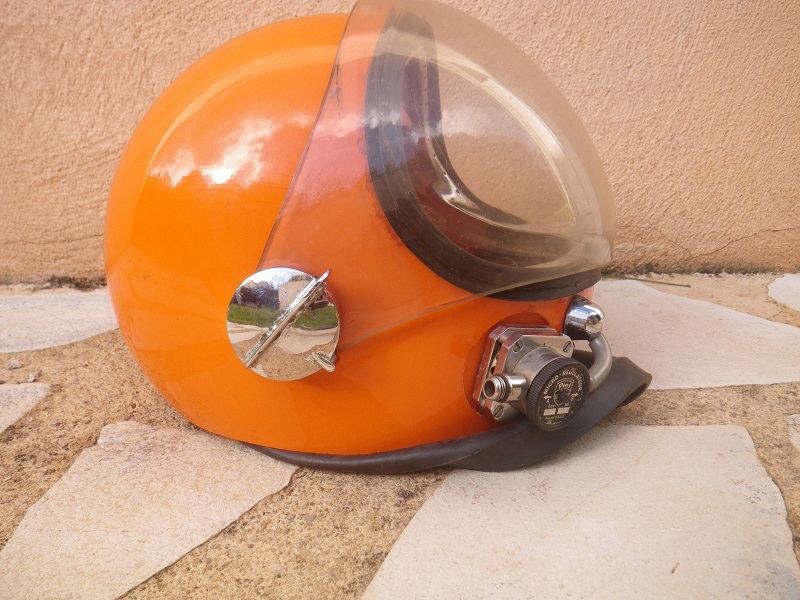 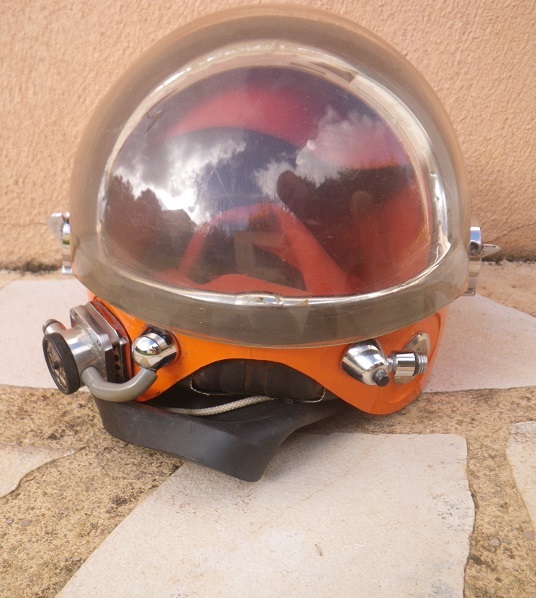 Very original helmet with a Piel micro-regulator, the EP 100 is the first of the EP X00 serie. 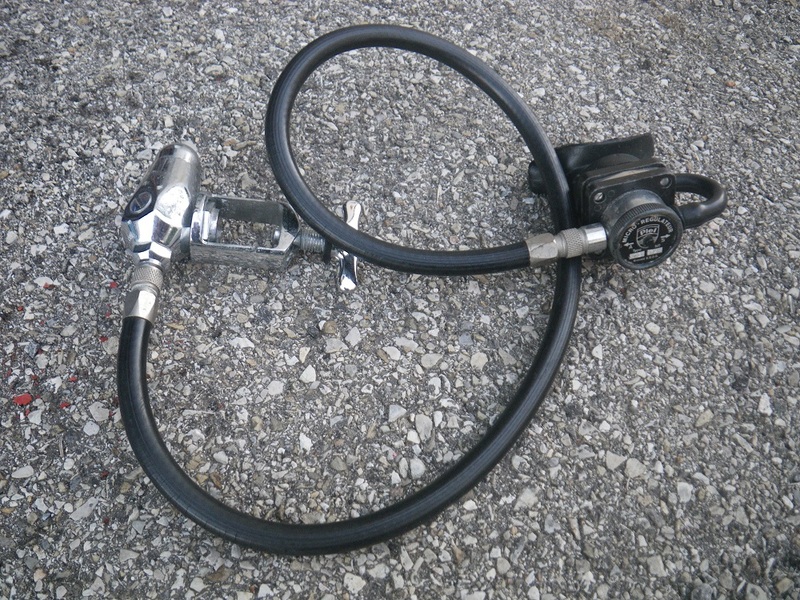 I think it is an EP 200, but not quite sure. 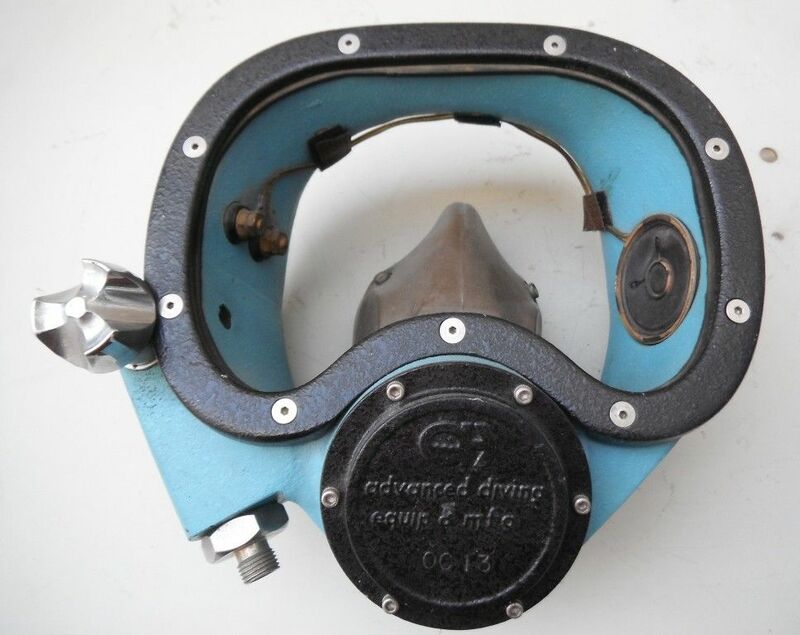 It has a serial number of 37 marked inside. 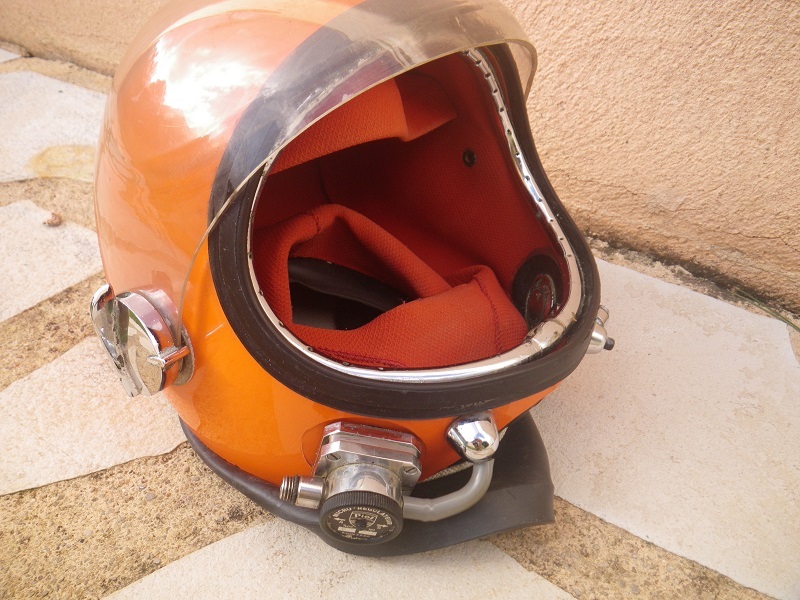 If you have some info about the EP X00 helmets feel free to contact us. 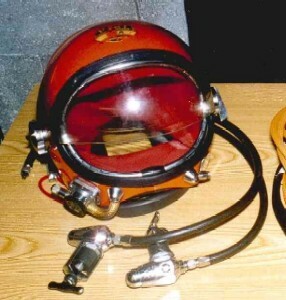 With spherical face port. 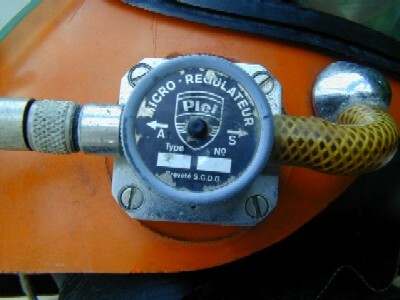 This version can be connected to a cycloflow for gas recovery. 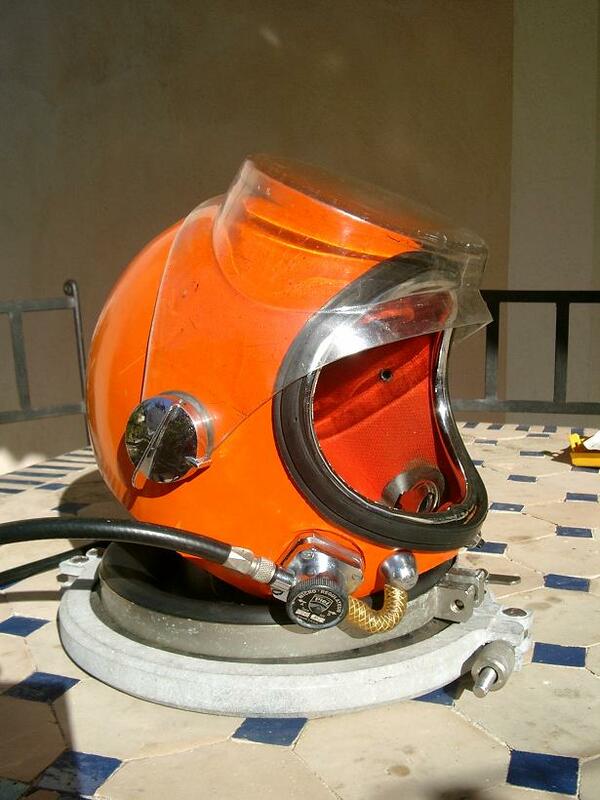 Latest helmet manufactured by Piel and designed by Yves Le Masson, who latter on started his own company i.e. 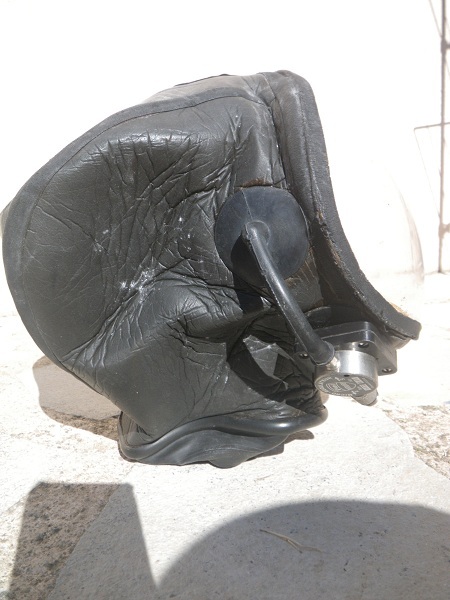 LAMA . 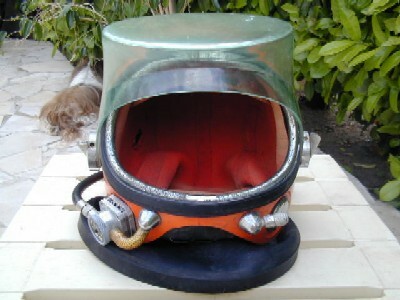 Version with spherical port. 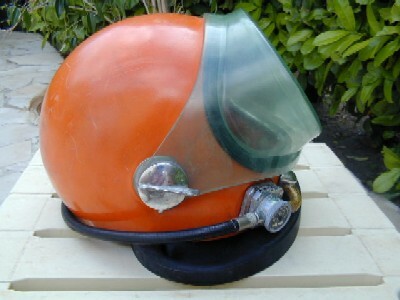 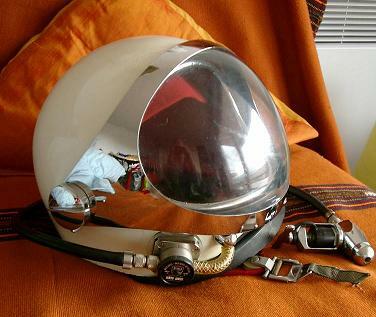 This helmet has been rebuilt by Yves Lemasson. 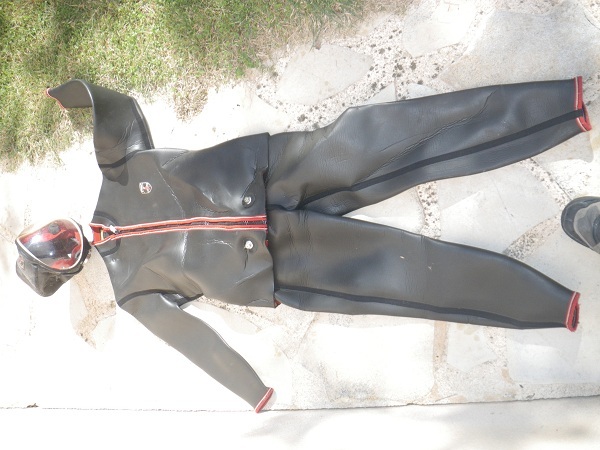 You can see a dry suit and a phone from Piel. 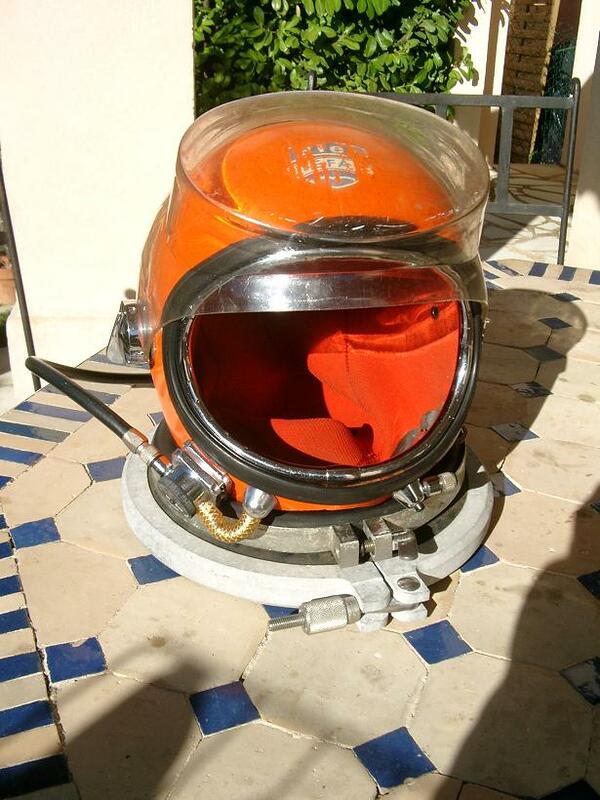 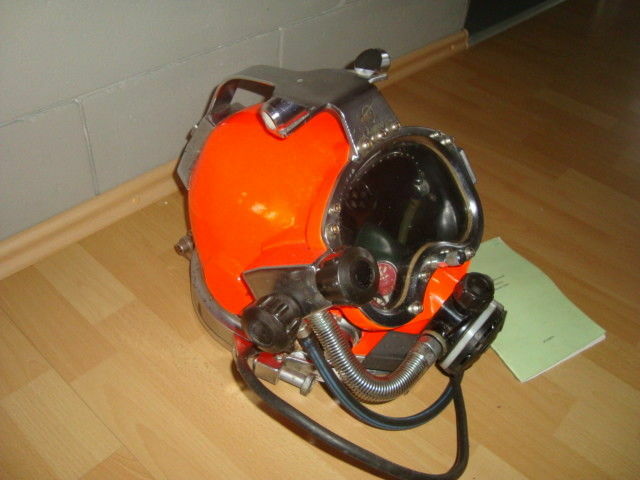 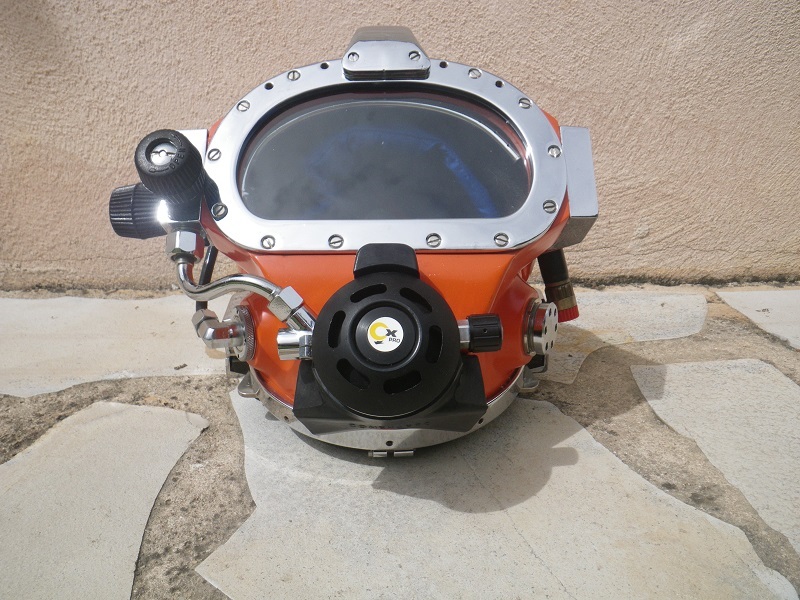 Bubble full face mask with the first version of the Micro Regulator (without a adjusting handle).